Last month we were still complaining about the dissapointing summer but this week the weather-forecast already looks a lot better. 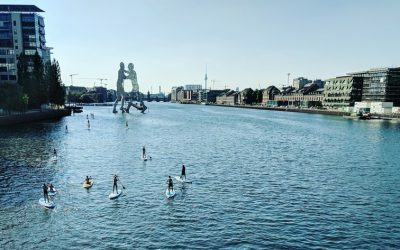 Earlier I wrote an article about some cool stuff to do during the summer in Berlin but in this article we are going to focus on one specific activity: Floating on the Spree. 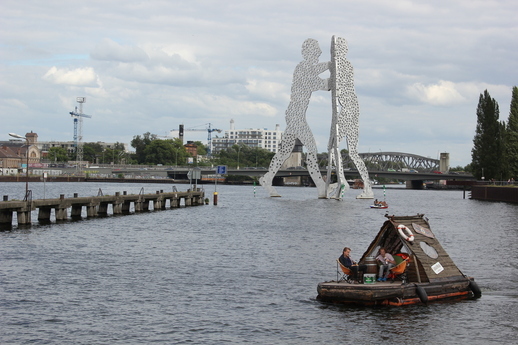 The fact that the Spree floats directly through the middle of Berlin is a great added value for the city. You can find a large amount of restaurants, bars and clubs which are located directly at the water of this river. It is just great to have a relaxing afternoon close to the water and somehow it just makes you really feel alive and free. But besides laying at the waterfront you can also take it one step further and rent a boat, raft or canoe. 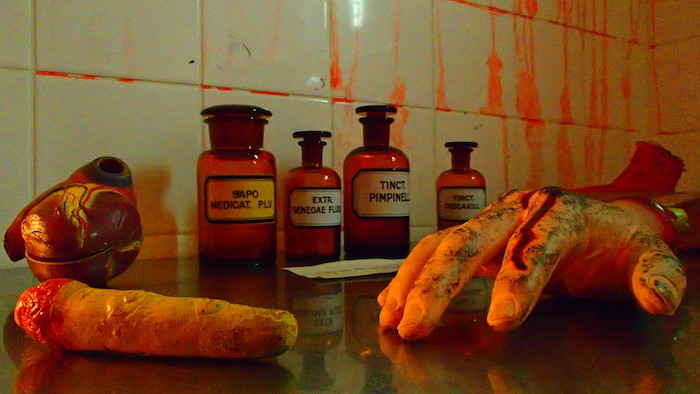 You will have nothing to do with other people or the busy touristic-attractions, you just have your own little space. If you want to enjoy the Spree, there are several possibilities for renting material. If you want to float on the Spree but you are on a small budget, the best way will probably be to rent a waterbike. These things cost about 10€ an hour and you can step your way to the middle of the Spree and relax (watch out for other boats though). 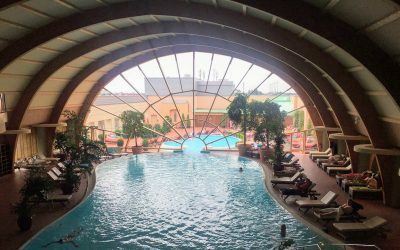 Another alternative is renting a canoe for 1,2 or 4 people and having a sporty afternoon. But let’s be honest: Nobody wants to work-out on a warm afternoon in August. 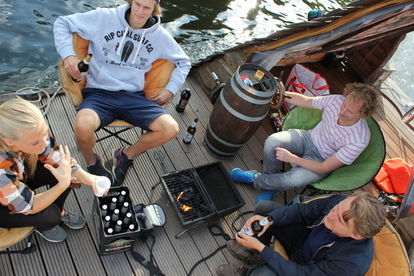 Just relaxing with a beer in your hand and some meat on the grill is the best way to enjoy the water. 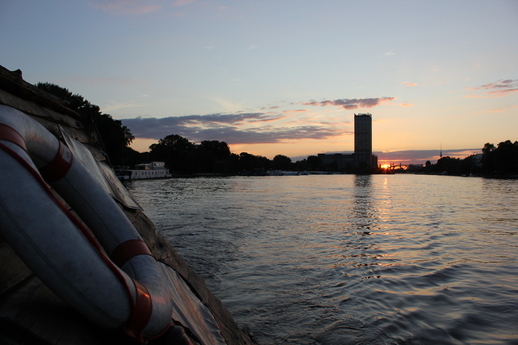 Therefore my favorite way to enjoy the water of the the Spree is renting a wooden raft. Renting a raft with a couple of friends is absolutely one of my favourite things to do in the summer. There is plenty of space to sit for you and your friends and you only have to sit and enjoy. 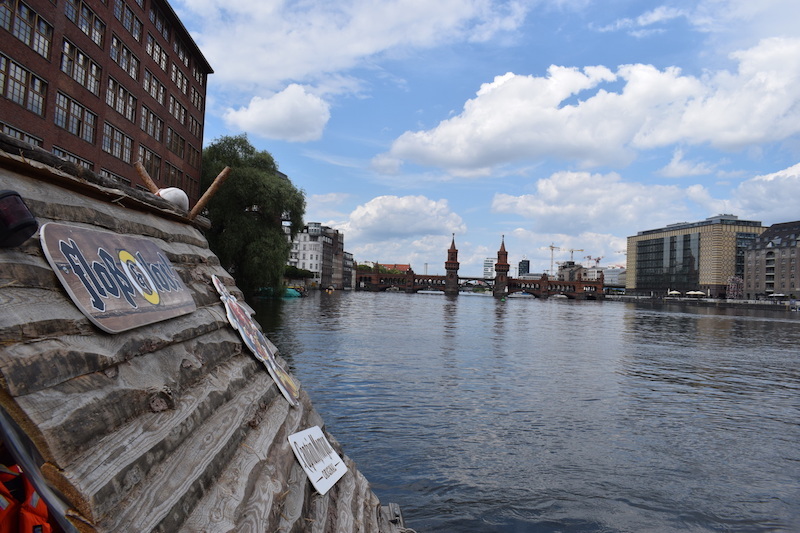 The small motor will do the rest and bring you to parts of Berlin you have never been: You can cruise all the way to the Müggelsee but also find your way towards the city and the Oberbaumbrücke. Here you can even enjoy some open-airs at Badeschiff so it might be worth throwing your anchor out for a while. If you are looking for a great company to rent a wooden raft, I would advice Floss & Los. As you can see on the images, the rafts look great and are large enough to sit in a comfortable chair and even have a barbecue. The prices are very reasonable (see below) and the people are friendly and laidback: You can bring your own beers, meat and small music installation. The rafts can be picked up in Treptower park, which should be an easy to reach location for most of you. Most other rental places are a lot further from the center so that is why Floss & Los is our recommendation. There are several types of wooden rafts. You can rent one for 5,8,12 or even 15 people. The expenses are about 20€ per person which is not much for a complete day of fun. You can pick the raft up at 10.00 in the morning and have to bring it back before 19.00. Personally I would always bring a barbecue yourself or just rent one for an additional 25€. Especially on the bigger rafts this is just a few euros for each person. The smallest rafts are large enough for 5 people! 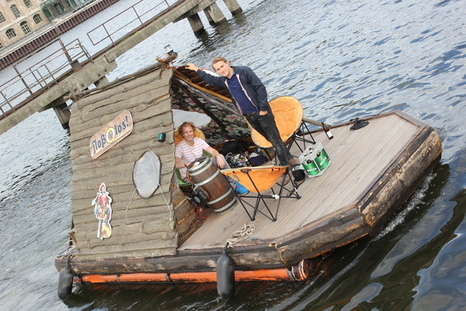 Personal Tip: You are also allowed to rent a raft in Berlin during the night. In that case you have to pick it up at 20.00 and bring it back the next day at 08.30. There is enough room in the rafts to lay down so this is actually a great experience as well. Summarized we can state that enjoying the Spree on a raft is one of the best things to do in the summer. You can see a bit of the city, swim with your friends and even have dinner on the raft. If you have additional tips or need more information, feel free to leave a comment.